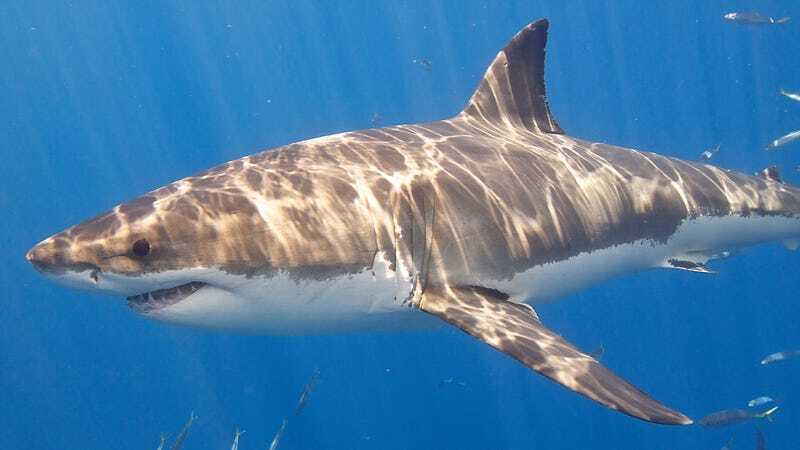 The great white shark is a lamniform shark, a group that dominated oceans in the Cretaceous Period. 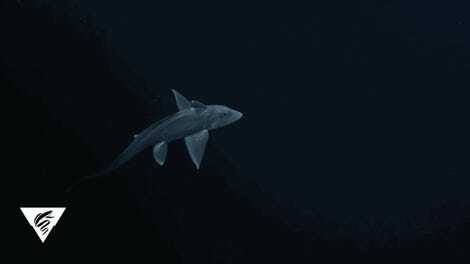 More than 500 different shark species roam Earth’s oceans: from zippy little cookie-cutter sharks, to the iconic great white, to nightmarish goblin sharks, to 25-foot-long, filter-feeding basking sharks. And it seems that the current equilibrium of shark species we see today arose after the Cretaceous–Paleogene mass extinction event 66 million years ago, according to new research. In the Cretaceous Period (between 142 million and 66 million years ago), an order of sharks called Lamniformes commanded the seas. Also known as mackerel sharks, modern lamniform sharks include the great white, thresher, and mako. But by studying the varying shapes of hundreds of ancient, fossilized shark teeth, researchers found that Carcharhiniformes shark diversity—the biggest shark order today that includes hammerheads, tiger sharks, and more—exploded after the end-Cretaceous mass extinction, whereas many lamniform sharks went extinct. That balance is still what we see in today’s waters: carcharhiniform dominance with a light sprinkling of lamniforms. Other orders of sharks include Hexanchiformes (frilled and cow sharks), Pristiophoriformes (saw sharks), and Heterodontiformes (bullhead sharks). “This is an interesting and nuanced study that adds context to the end-Cretaceous mass extinction event among two major lineages of sharks,” Neil Aschliman, an evolutionary biologist at St. Ambrose University who wasn’t involved with the new research, told Gizmodo. The researchers measured the varying shapes of 597 ancient shark teeth from around the world dating back between 72 million and 56 million years ago. The way tooth shape changed—taller or shorter, broader or more needle-like—let them map out the post-extinction shark diversity, as noted in the Current Biology paper published on Thursday. Curiously, after the extinction event, lamniform sharks that had wide, triangle-shaped teeth died out, while carcharhiniforms with that same tooth type thrived. That disparity could be due to changing food sources after the extinction, Mohamed Bazzi, lead study author and paleontologist at Uppsala University in Sweden, told Gizmodo. Lamniform sharks likely ate a lot of squid and marine reptiles, but many of those died out. Small bony fishes, on the other hand, started to swarm the seas, much to the delight of the carcharhiniform sharks that preyed upon them. This dynamic may have been the basis for an evolutionary timeline leading to today’s shark diversity, Bazzi said. Understanding that timeline could even be useful for keeping today’s sharks from going extinct. That extinction risk is serious, as we overfish oceans and contribute to global warming. 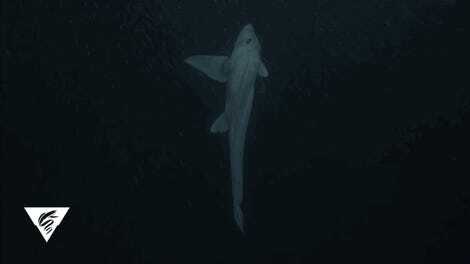 Today, over 50 percent of shark species are either endangered, threatened, or near-threatened, the researchers noted.